Sometimes the right credit card isn’t so obvious. Sometimes you think a card isn’t for you, when in fact, it’s the perfect fit. One example comes to mind…well, two or three if you count the multiple versions of the card. I’m referring to the Southwest credit cards from Chase, which currently offer 60,000 points if you meet a $2,000 minimum spending requirement. At first glance, it sounds like you’ll need to fly on Southwest Airlines in order to use all those points. 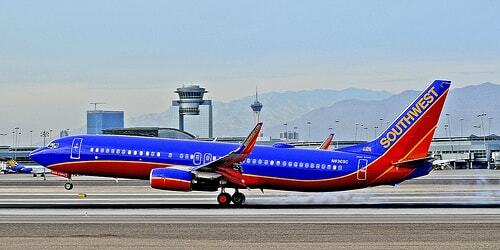 They are after all, Southwest Rapid Rewards points. But wait, Southwest Rapid Rewards has a section called “More Rewards” on their website that lets you redeem your points for things other than travel on Southwest. That includes events like concerts, merchandise (no thanks), and drum roll, gift cards. While it might not sound that exciting, it actually is because the Rapid Rewards can be redeemed for a penny apiece. And Amazon gift cards are one of the many retailers listed, along with the likes of Best Buy, Target, Starbucks, Walmart, and more. There’s a decent selection. Now there is one little caveat. If you do decide to go with this redemption option, be sure to get Amazon gift cards in $50 increments. If you don’t, you’ll get a less favorable value. They also sell $25 gift cards for 3,000 Rapid Rewards points, which equates to around 0.83 cents per point. So the $50 for 5,000 points is clearly the better deal. Either way, it’s much better than redeeming Amex Membership Rewards points for gift cards. With the current 60,000-point sign-up bonus on the Southwest Rapid Rewards card from Chase, you can earn $600 worth of Amazon gift cards. That’s 12 $50 Amazon gift cards in total. There is a $69 annual fee that is not waived, which is applied to your first billing statement. So in reality, you’ll get a little less than $600, though once you spend enough on the card you can redeem a 13th $50 Amazon gift card to make up for most of it. There are two other versions of the card, including a premier version and a business version, both of which also earn 60,000 Rapid Rewards points, though they do have a higher $99 annual fee. Now some say may that you’re better off using the points for travel on Southwest, but getting $600 or $1,200 worth of Amazon cash isn’t too shabby either. For most people, Amazon gift cards are as good as cash, so consider it a $550 sign up bonus (annual fee factored in) for spending a paltry $2,000. I don’t know of too many other credit cards that offer such an amazing return. 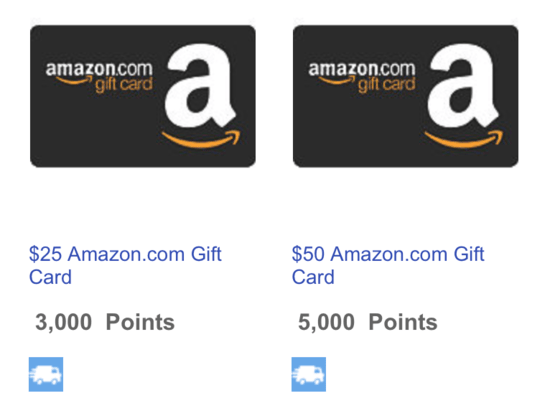 Heck, even if you don’t like shopping at Amazon, you could redeem for gift cards and resell them, which would still leave a decent amount of change in your pocket. Update: Southwest now lets anyone redeem their Rapid Rewards points for gift cards, even non-Southwest credit card holders. However, the value is a lower .74 cents a point, so it can still make sense to apply for a Southwest credit card, especially with the big sign-up bonus. Previous Previous post: Wells Fargo Cash Wise Card Review: Is 1.5% Cash Back Good Enough?